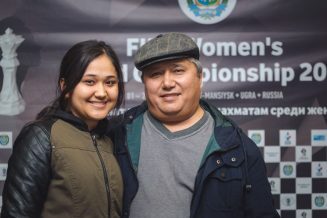 Interview with the 19-year-old Gulrukhbegim Tokhirjonova (Uzbekistan). 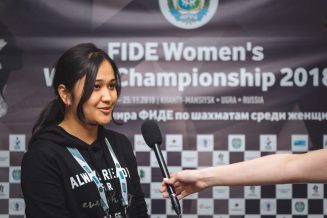 – Gulrukhbegim, please tell us about the tie-break match with Valentina Gunina. – Today’s match was quite good for me. I managed to win first game with the white pieces and after that she tried to win the second game, of course. I think shouldn’t have done it. 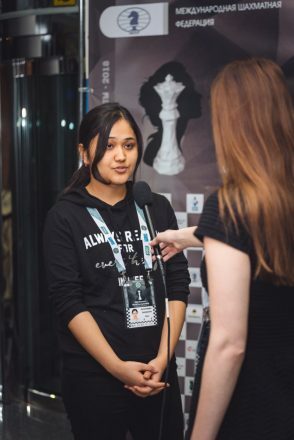 She started to play very actively, pushing the h-pawn. I think it was wrong so I managed to win the second one also. – In a regular part of the match, you won the first game and then you lost the second sone. What was your emotional state before the tie-break? – After the win, I played very badly the second game so I deserved to lose it. That’s why I didn’t think about it before the tie-break. I just played and I did my best today. 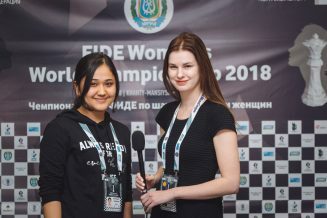 – You have played three matches with very strong opponents – Alina Kashlinskaya, a former world champion Tan Zhongyi, and Valentina Gunina. Which match was the toughest one for you? – I don’t know. Three of them all are very strong chess players. 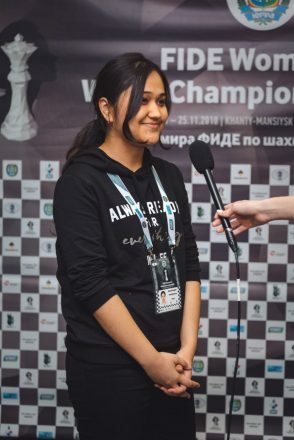 Maybe with Tan it was a little bit more difficult because we played two draws and I didn’t know how it all would be in rapid games, because it was my first tie-break in this tournament. That one was a little bit more difficult than others, I think. 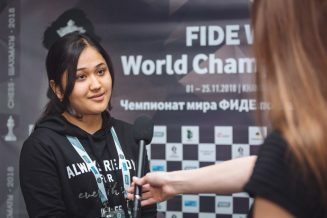 – As far as I know this is your first World Championship, so what are your impressions of the playing hall, the venue, your games etc? – The playing hall is great. It’s very exciting to play here. My opponents are strong and tomorrow I will play with Ju Wenjun. It’s a great tournament for me to improve and I enjoy it. – And what do you think about Khanty-Mansiysk? – It’s a little bit cold for me because we still have autumn in Tashkent. But Khanty-Mansiysk is beautiful with its everyday snow.